You need to connect with MORE people. Tag them and let them know about your business opportunity. Fool yourself into thinking that people who don’t spam others are just too proud (masyadong mataas ang pride). Ask yourself: Who Do I Want To Attract Here In Facebook? Publish useful or entertaining things on your FB wall. Useful/Entertaining, from the point of view of the people you want to attract. Wait for them to make a Friend Request. Accept those whom you like. Repeat this process and watch your influence grow. Remember, this is a MARATHON, not a quick race. That’s why we encourage you to serve people first. Mission, before commission. It really pays to Build Your Name First, then your business second. Just smile at them, and move on. Welcome to the Internet! Here you’ll find information that so many people have been trying so hard to hide in the past. 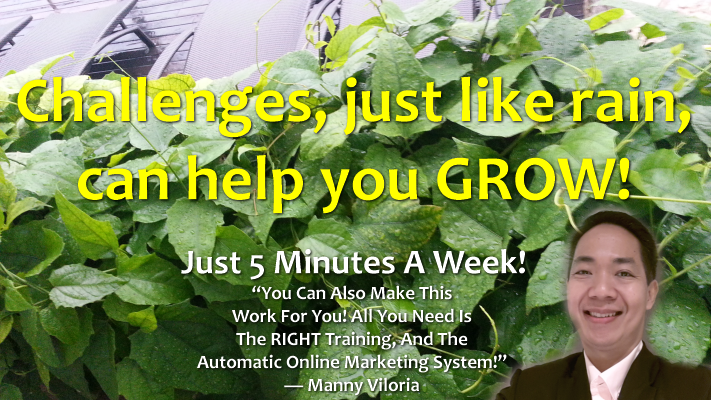 Here you’ll find FREE training that will give you additional skills to help you finally succeed! All you need to do, is to TAKE ACTION! Just enter your Name and Email on the form on the right, follow the tutorial, and ask questions to help you make this work for you. And remember: Invest In Yourself First, Before Others Will Invest In You.